Uh-huh … it was The Manfreds’ Tom McGuinness on the phone, speaking from his home in Cambridgeshire before his latest UK tour. And as well as covering this veteran guitarist and songwriter’s days in Manfred Mann, The Blues Band, McGuinness Flint, we got to dwell on a whole lot more. 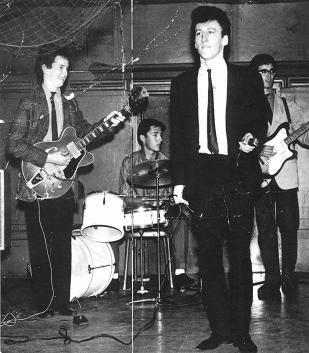 If there was a family tree illustrating a who’s who of British R’n’B, The Manfreds would surely be at the heart of it all. 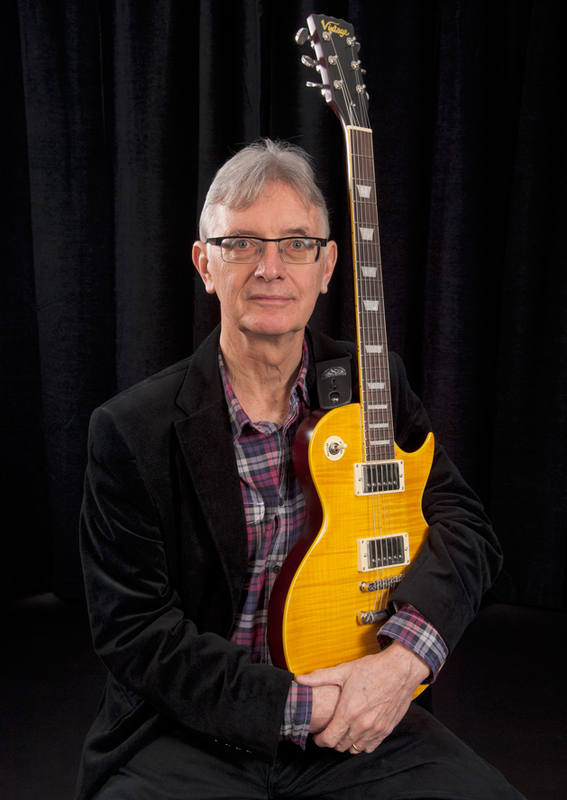 Between Tom McGuinness and band-mates Paul Jones, Mike Hugg and Rob Townsend – these days accompanied by Marcus Cliffe and Simon Currie too – there’s so much history. They were at the centre of a movement that broke in the UK more than 50 years ago, one that remains strongly influential today. Wimbledon-born Tom, now 72, is currently touring with the most recent line-up of a band that had 13 top 10 hits and three No.1s in the 1960s alone. They actually first surfaced as the wonderfully-named Mann-Hugg Blues Brothers, centred around South African keyboard player Manfred Mann and drummer Mike Hugg. 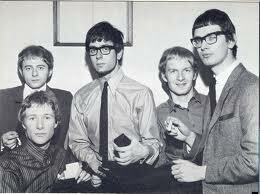 In time, they became Manfred Mann and the Manfreds, then settled on Mann’s moniker, by then also featuring guitarist Mike Vickers, bassist Dave Richmond and vocalist and harmonica player Paul Jones. Paul, also an accomplished actor, is perhaps best known these days for his blues show on Radio 2, but he’s also rightly lauded for his work with Manfred Mann and The Blues Band. Tom also featured in those bands and early ’70s hit-makers McGuinness Flint, and helped out Paul during his solo career too. So how did Paul and him survive those heady days of the 1960s and somehow keep their friendship intact for the next five decades? “We’ve never really not been mates. I first met Paul in 1962 through an advert in the Melody Maker from a piano player looking to join an R’n’B band. “You could count the amount of musicians in the UK playing R’n’B on two hands then, so I wrote back and said I’d like to be in that band if he found it! “That was Ben Palmer, a wonderful piano player, and he invited me over to Oxford to meet him. Ben introduced Tom and Paul, and when Paul joined Manfred Mann, Tom joined Eric in The Roosters, who opened a couple of times for Manfred Mann at The Marquee. “There was always this interplay going on. Then Eric joined The Yardbirds, and I joined Manfred Mann. 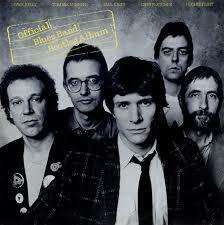 So how did The Roosters project with Eric Clapton (then aged 18) come about? “I went to an audition with my girlfriend, Jennifer, who later became my wife. I knew after one number that band, The Dave Hunt R’n’B Band, wasn’t for me. “Funnily enough, who should take the job but Ray Davies! They had been a trad band and were making the transition. “It was too jazzy for me, but I’m told Ray turned up after me and got the job, staying for a short while before The Kinks. “I came off the stage from this audition at the Station Hotel in Richmond, where the Rolling Stones played on Sunday nights, and Jennifer asked how it went. I said ‘terrible’ and she said, ‘never mind, this is Eric – he likes the blues’. “We got chatting, which consisted of him saying ‘Elmore James’ and me saying ‘Howling Wolf’, him saying ‘Muddy Waters’, me saying ‘Sonny Boy Williamson’. It was that kind of conversation! 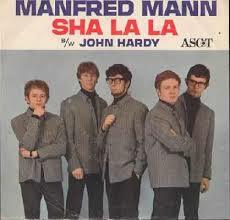 Tom joined Manfred Mann in 1964, just as 5-4-3-2-1 hit the charts, replacing Dave Richmond on bass. So had he played bass before he joined? “No! The first time I walked on stage with Manfred Mann was the first time I’d picked up a bass. It was the confidence of youth, and I was just desperate to get out there and play. “My audition consisted of being asked if I’d promise to play simply. Dave was a really good bass player and went on to a very successful career as a session player, playing on hundreds of hits and album tracks. “I just thought it was two strings less than a guitar – what can be hard about it? “I was talking about this recently to (fellow Manfreds member) Marcus, who now plays bass with us. He’s a fantastic player, who studied string bass and keyboard at the Leeds Conservatoire. “I said when I listen to our old records now I’m actually quite pleased with my playing. But at the time I thought I was just faking it. Jack Bruce was just one of many big names Tom’s played alongside over the years. “I added up all the people I’ve played with over the years and it’s not that many actually, only about 20. “But the first band I got together involved Paul Jones and Ben Palmer, then the next featured Eric Clapton and Ben again. 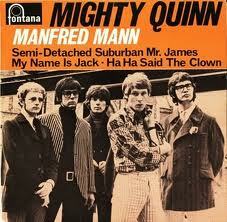 “Then it was Manfred Mann, with Manfred, Mike Hugg, Mike Vickers … All brilliant musicians! “Then Jack Bruce came in, Klaus Voorman, Mike D’Abo, then Hughie Flint on drums, and our McGuinness Flint line-up also included Gallagher and Lyle. “Now we have a Manfreds line-up including Rob Townsend, who drummed for The Blues Band and the Manfreds, and he’s from Family. So they’ve all had success before and since. I mention to Tom how I spoke to Bill Wyman last year about his days at the Flamingo with Charlie Watts watching George Fame and the Blue Flames. I put it to Tom that this was a classic era and such a great time to be in music. “It was. And there are other factors as well. There was full employment at that time, so if you wanted to try something you could. “If it didn’t work out you could get a job for a few months then save a little money and try again. “I had a job with Norwich Union before The Roosters, then after that and before the Manfred Mann job I had about two months when I went to work in a department store, Bentall’s in Kingston. “It was like the Department of Social Security, really – everyone I was working with was trying to make it – as an artist, actor or in music. “There was one guy, a drummer, who had a metal leg. He’d play drum solos and end them on his leg, which really confused his audience, hearing this metallic sound from his knee! “The point I’m making is that you could try things. It was a great period for experimenting, because you could always get a little job, earn £8 a week, pay the bills and still have a little money to save and put by for something you really wanted to do. “There was something in the air. It was happening with film, with drama, with novels, and with music. It was the first generation after the austerity of the war and immediate post-war period. “There was still rationing in the ‘50s, and no American instruments being imported, with customs restrictions over guitars. “But in the ‘60s people had money in their pockets. Harold McMillan said you’ve never had it so good, and it’s true. 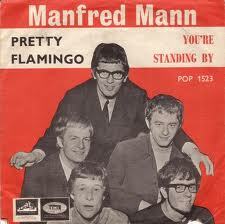 Manfred Mann had such a great canon of work too, not least songs like my personal favourite Pretty Flamingo and their hit Bob Dylan covers. I explained how I discovered Pretty Flamingo afresh in the mid-1980s whilst getting into the Mod and ’60s Soul scene, and how my youngest daughter loved it when she was barely seven, after hearing it on one of my compilation tapes. “We didn’t write most of our material, but having had a hit with those songs you’re identified with them. “One of my granddaughters said her friends now realise I’ve had hit records and I’m on YouTube! All these 16-year-olds thought I was in a tribute band, doing weddings and that. “We went to Japan a year or so ago and played a few gigs in Tokyo, and the audience were predominantly 20 and 30-year-olds but totally into the ‘60s thing. Does it make him feel old, knowing those first hits were half a century ago? Do you keep up with modern music? There are some great new r’n’b bands like The Strypes coming through. “Funnily enough, I was just reading about them in an American magazine, Vintage Guitar, with a fantastic review, and a picture where they look totally ’60s. Has Tom ever tried out DJ-ing? “I have done, when Capital Radio in London did more than hits, Charlie Gillett used to be on there, and when he went on holiday I would do his show. “I then did an arts magazine programme they had. I’d love to do all that again, but couldn’t if I was being asked to play records of their choice. It’s been nearly 30 years since you published your memoirs, So You Wanna Be A Rock’n’Roll Star? Any plans for a revised edition or follow-up? “Not really, but I’ve always got in the back of my head this ambition to write a film screenplay or a novel. I’ve got an idea, shall we say. Is there any song from your career that you’re particularly proud of after all these years? 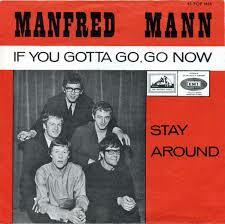 “My all-time favourite Manfred Mann song is If You’ve Gotta Go, Go Now. I love the lyric and the story it brings back to me. “Manfred and I were watching Bob Dylan on TV, down in the countryside in Berkshire, It was just him and his acoustic guitar, on the BBC. He sang that and it wasn’t on any album. “Manfred and I looked at each other and thought this was something we could do. Our manager was Dylan’s publicist, so within a few days we had this acetate of him singing it. “A week or two later we recorded it. And if it wasn’t for Tears by Ken Dodd, it would have been number one! 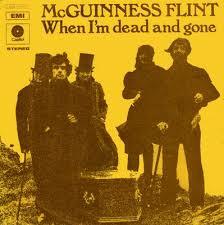 Tom formed that band with Hughie Flint, Benny Gallagher and Graham Lyle in 1970, shortly after leaving Manfred Mann. Was that him finally asserting himself? “Not really. We were only called McGuinness Flint because we had a recording contract to sign and had spent weeks sitting around rehearsal studios yet couldn’t think of a name. “Benny and Graham suggested it. Hughie and I hated it! 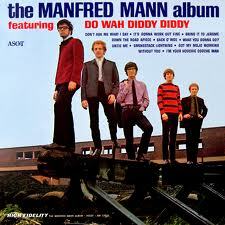 The Manfred Mann thing caused a lot of confusion – people coming up to Paul, saying ‘hello Manfred!’ It drove him mad. “But it was lovely that When I’m Dead and Gone was such a hit, and we got great reviews for our first album. “We rehearsed in my attic, then went downstairs for lunch, with a bottle of wine on the table, listening to the first Robert Johnson album. “I had a mandolin, more of a decorative feature, hanging on my wall. Graham asked if he could borrow it. Him and Ben came back the next day and said they’d written this song, inspired by us talking about Robert Johnson. While his first hit band’s ‘leader’ went on to form Manfred Mann’s Earth Band in the 1970s, and enjoy a couple more hits, Paul Jones, Tom McGuinness and Hughie Flint were back together with The Blues Band from 1979. 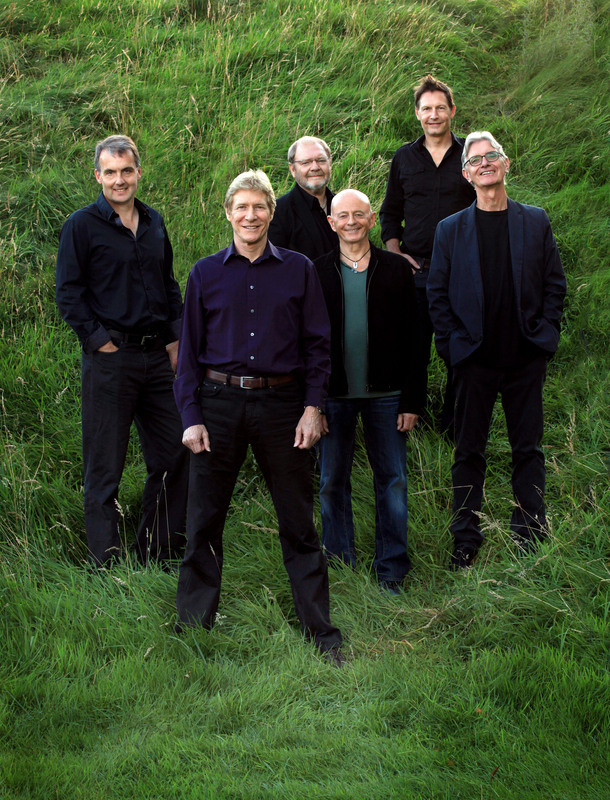 In time, Rob Townsend replaced Hughie Flint, and it was only in 1991 that The Manfreds – without Manfred, confusingly – reformed for Tom’s 50th birthday at London’s Town and Country Club. That brings us up to date, with the band still going strong today, with no plans to retire yet – at least as far as Tom is concerned. “I imagine the only thing that’s going to stop me is health. It’s a sad time in some ways. I’ve had three good friends die in the last six months. “I also have three good friends battling prostate cancer. I’m very aware of time’s winged chariot. I’m very much counting my blessings. This feature is a revised and extended version of one Malcolm Wyatt wrote for the Lancashire Evening Post on March 20, 2014, with the original here. This entry was posted in Music and tagged Eric Clapton, Gallagher & Lyle, Manfred Mann, McGuinness Flint, Paul Jones, Pretty Flamingo, Ray Davies, The Blues Band, The Manfreds, Tom McGuinness, When I'm Dead and Gone. Bookmark the permalink.